The Spanish guerilla art collective Luzinterruptus (previously here) is at it again. Their latest intervention took place on May 15th at Plaza de la Cebada in Madrid. 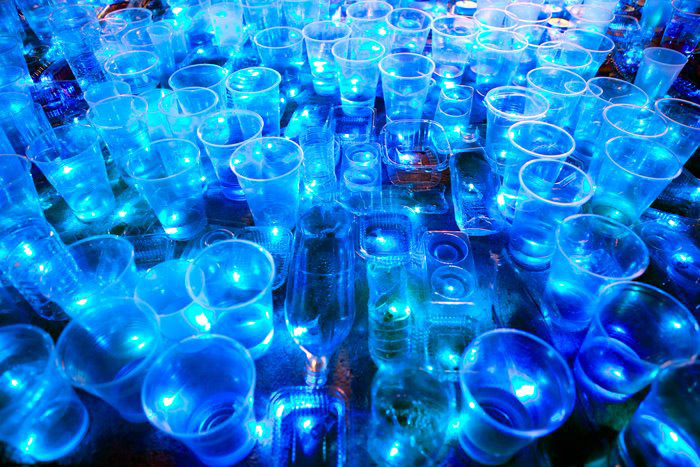 Collecting over 2,000 used plastic cups and containers in the previous month, the artists filled them each with blue water, placed them in a 6 x 4 meter rectangle and lit them. This was to represent the community public swimming pool that had been demolished by the city in 2008 with the promise of building a new and improved pool. Four years later, still no sign of a pool, while plans are now evolving into a high-end entertainment center and gourmet food marketplace which will be too pricey for the people of the neighborhood. 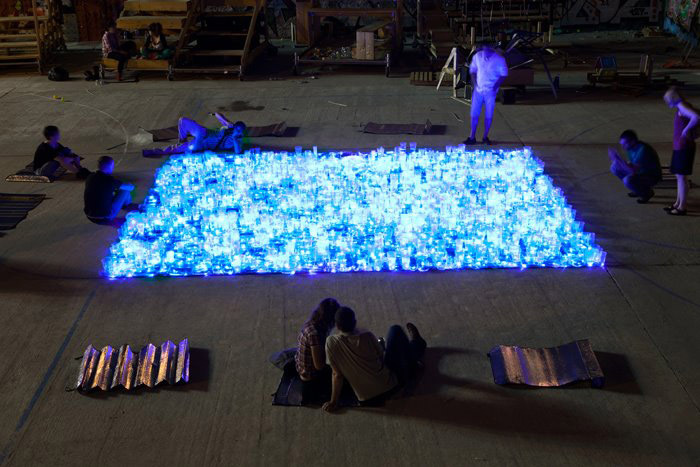 The light installation in the shape of a swimming pool was a reminder of what the space once was and what it should rightfully be once again in the not-too-distant future. 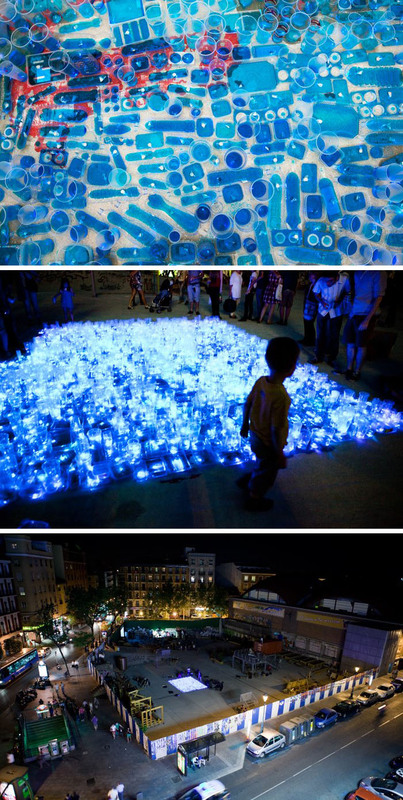 This entry was posted in Art, Fun, Just Plain Cool, Light, Street Art, Stuff We Like. Bookmark the permalink. That’s so cool. To bad about the swimming pool though. It’s a shame that the people of the neighborhood are forgotten in the face of more business and money. Reblogged this on Coreggios Projects.